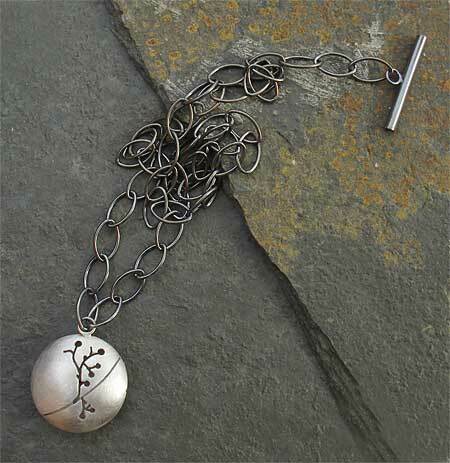 Women's Silver Etched Pendant & Chain : LOVE2HAVE in the UK! 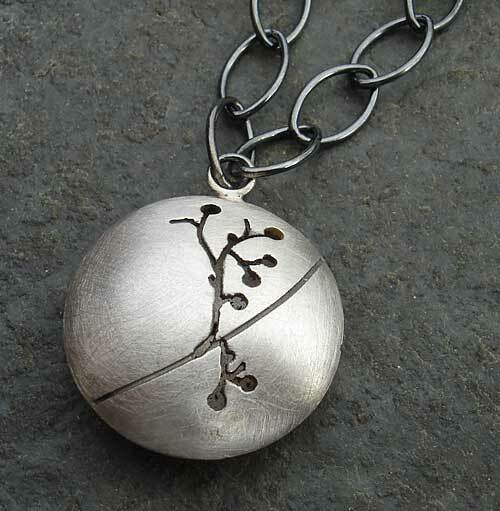 A lovely women's silver pendant with an etched design influenced by woodland nature. The detailed is black etched while the silver comes in a luscious brushed steel finish. The shape is round with a convex profile giving the jewellery that added dimension. The pendant is approximately 30mm in diameter and is reversible with a different etched design on both sides. 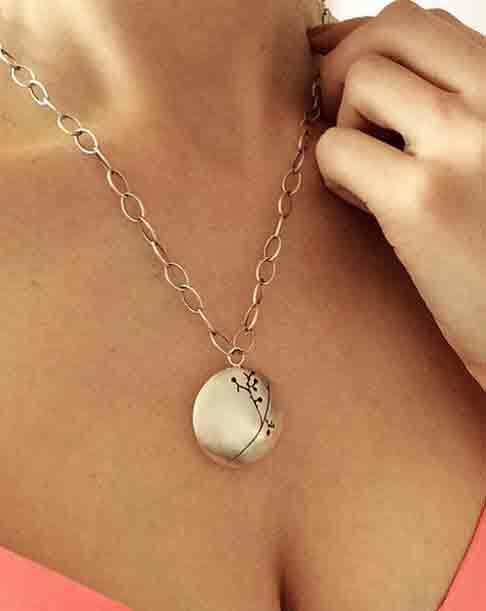 To complete the exquisite designer stying the pendant comes attached to a 16-inch large looped links silver chain on rounded eyelet. The chain comes in rounded silver wire handworked into eye-catching oval links. Again the silver is darkened to an almost black. The chain features a T-bar fastener to match.